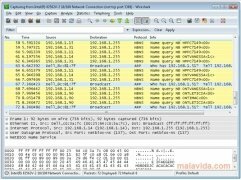 Wireshark is a program that allows network managers to analyze network traffic, being able to check the amount of data that is sent and received by each of the connected devices. One of the most appealing aspects of the program lies in the fact that it's compatible with almost any protocol and shows the user all the information that is relevant by means of a very neat and tidy interface. 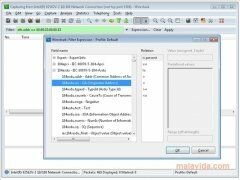 The program shows us, as well as the IP address and DNS, other very useful information (TCP, ICMP, IPX and UDP), and it's compatible with the BOOTP, DHCPv6, SCTP, SSL, ZRTP, FIP, GPRS LLC, OPCUA and Kerberos standards. This tool allows us to capture data in real time, to later be able to analyse them offline, it can be expanded by means of plug-ins and it allows us to export the information as XML, PostScript, TXT and CVS. It's an application that has been developed to be used by network experts and in a professional environment, so it's possible that many users won't be able to make the most of this program. 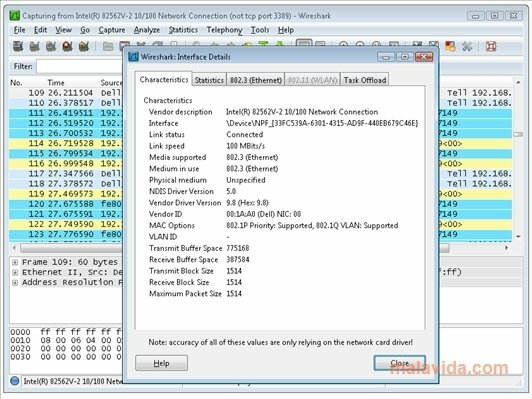 If you're looking for a LAN network analysis application that is free, stable and versatile, download and install Wireshark.